Its time to update LG G3 (Verizon) to latest Android 8.1.0 Oreo. Android 8.1.0 Oreo comes with improved features and better security than earlier Android version. LG G3 (Verizon) have a good enough hardware that can run Android 8.1.0 Oreo smoothly. 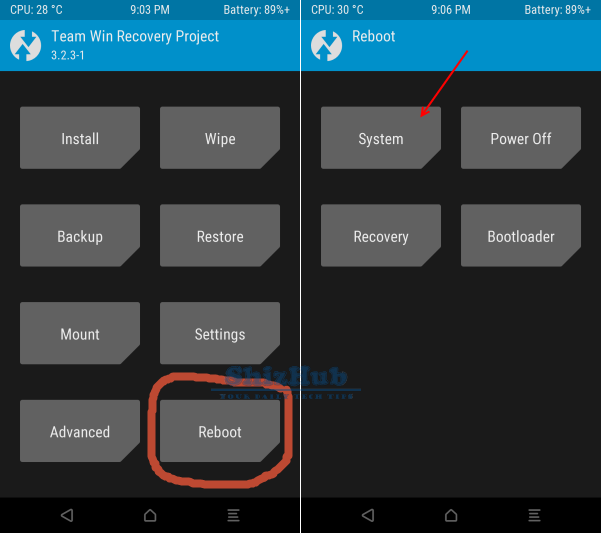 In this article we will flash a custom ROM called crDroid v4.6. This ROM is based on Android 8.1.0 Oreo AOSP and comes with various customization (features list) along with some LineageOS features. Android 8.1.0 Oreo comes with various new as well as improved features including, background limits, picture-in-picture, notification channels and dots, adaptive icons, better keyboard navigation, better audio, camera app improvement and many more. If all this excites you then you can follow this guide to update your LG G3 (Verizon) to latest Android 8.1.0 Oreo via custom ROM crDroid v4.6. Warning! We at ShizHub produce tutorial to help out fellow Android users but all this guide are educational purpose only. You should try this guide at your own risk. Neither we nor the developer should be responsible if your Android device experience damage after following this tutorial. Also remember, this guide is only applicable for LG G3 (Verizon). Don’t try this guide in any other Android device. It may hard brick your device. 1. Although this method doesn't wipe your data but we still recommend you to back up it. You may follow our Android backup guide. 2. Make sure your device have at least 30% battery power. 3. You already have USB Driver installed for LG G3 (Verizon) in your PC. Windows OS usually download and install USB driver automatically when you connect your device first time. You can always manually download USB driver from our latest USB driver download page. 4. Make sure USB Debugging is enabled otherwise you won’t able to transfer file between PC and mobile. You can follow our USB Debugging enable guide. If you did everything that we mentioned above then you are ready to follow step-by-step guide on how to install Android 8.1.0 Oreo based crDroid v4.6 ROM on LG G3 (Verizon). Step 1: Copy downloaded zip files to your device memory. Step 2: Boot into recovery mode. To boot into recovery first turn off your LG G3 (Verizon) and then press and hold Volume Down and Power button together. When the LG logo appears, release both buttons and then hold them again. You can also boot into recovery without key combination. 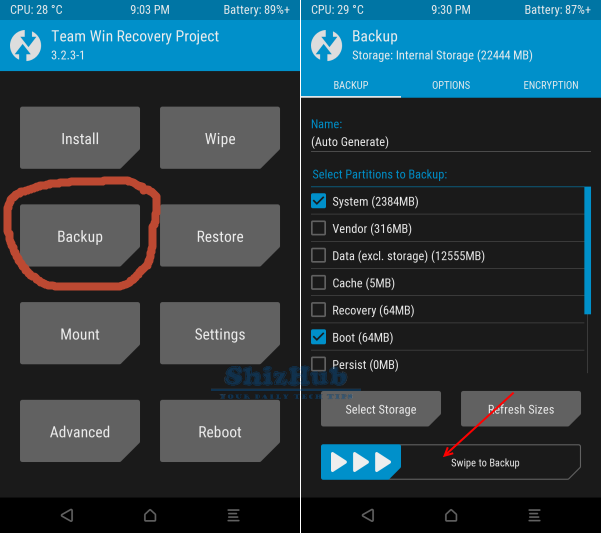 Step 3: Create a Backup using TWRP Backup Option. Step 4: Perform a Factory Reset (this will delete all apps and their settings and game progress). To do this, Tap on Wipe, then at the bottom of the screen do a Swipe on the ‘Swipe to factory reset‘ option. Step 5: Finally, its time to flash the ROM file. Tap on Install, then browse to the location where you saved the files and tap on the crDroid v4.6 zip file. Then tap on Add More Zips, and add Gapps zip. 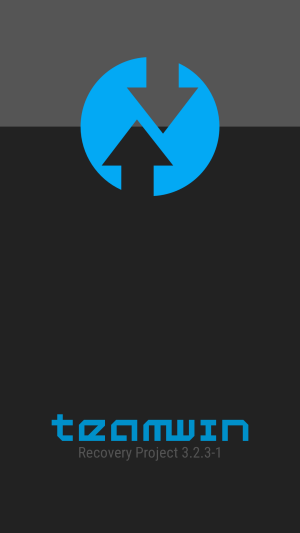 Now at the bottom of the screen, do a swipe on the Swipe to confirm flash option to begin flashing. Step 6: When the installation is completed, go back to the main recovery menu and tap on Reboot and then, tap on System to reboot your LG G3 (Verizon) and boot up into Android 8.1.0 Oreo ROM crDroid v4.6. The first boot will take some time. That's it! You now have latest Android 8.1.0 Oreo based custom ROM crDroid v4.6 installed on your LG G3 (Verizon). 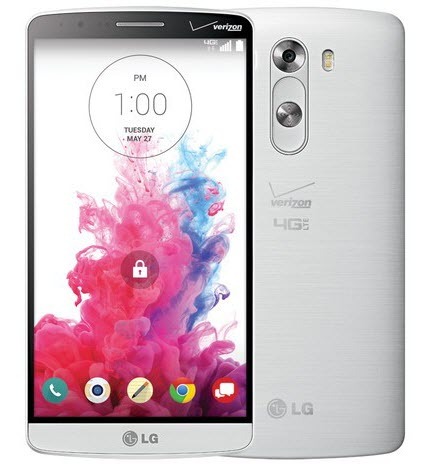 You can root this ROM by following this guide: How to root LG G3 (Verizon) - Simple Safe Method. Please Report Any Broken Download Link in Comment. We will fix it asap where possible. You can also contact us through Contact Form.